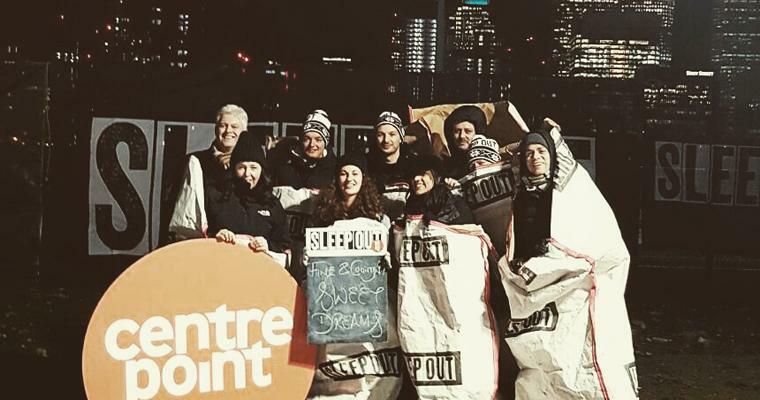 Fine & Country returned once again to Centrepoint’s Sleep Out in London on Thursday 16th November. The team of 13 have raised £6,179.36 for homeless young people and donations are still coming. 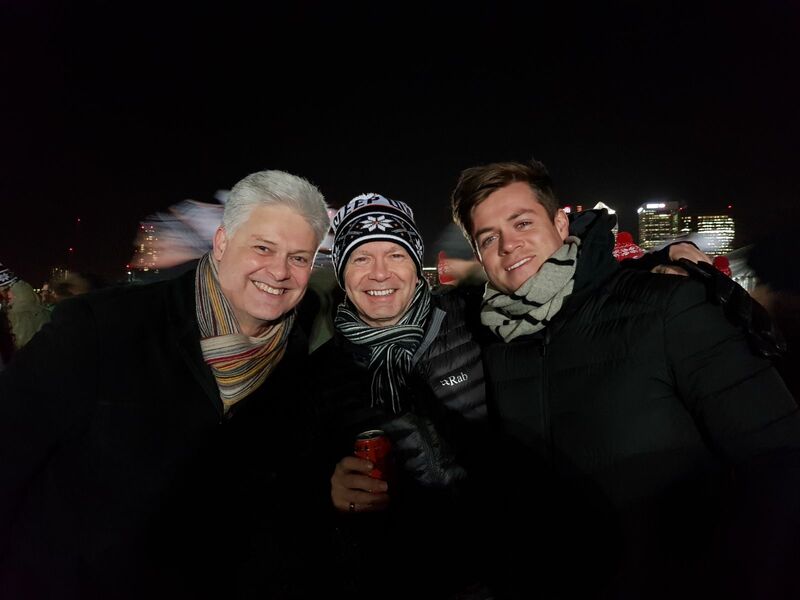 On the night, members of Fine & Country Head Office, Canary Wharf and East London finished work and made their way to Greenwich to join over 900 participants. The site was as a large open plane covered in fine, muddy gravel next to the O2 arena. The team found their designated sleeping area and made their way to the activities tent. The RAF were on hand to serve dinner of beef stew, chicken curry and turkey soup for all the hungry fundraisers. After dinner and a few drinks, Centrepoint ambassador Scott Mills gave a speech, followed by a talk from Centrepoint representatives and performances from some of their success stories. Rap poetry and singing from the young people soon led to a group sing-a-long in the crowd, with classic tunes from artists such as Robbie Williams being sung at the top of everyone’s lungs. By 11.30pm it was ‘lights out’ and everyone made their way into their cardboard pouches and sleeping bags. Thankfully, the rain held off, but it was nevertheless a cold and uncomfortable night, with temperatures dropping to just two degrees Celsius. By 5.15am the sleepy participants were waking and packing up their belongings. The Fine & Country team grabbed a quick cup of tea and a sausage sandwich from the RAF before making their way back to their offices. They then began a full day of work. Our 2018 events calendar is already filling up, so if you have something that you want to tick off your bucket list or are a homeless charity in need of support, contact us today at foundation@fineandcountry.com or call +44(0)20 3368 8221.